Millions of Minions wouldn’t be too many for us. Agree? Here are tons of them in funny stickers. Yay! Forget cartoons about superheroes. The world has plenty of them. 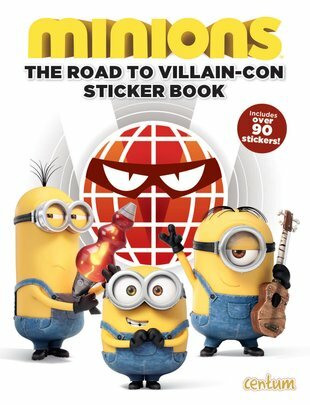 Instead, the cheeky Minions are all about supervillains. Doesn’t that make a nice change? Trouble is – it’s not easy to find the perfect evil master. Luckily, it is easy to laugh along at these cute sticker Minions, shown in over 90 stickers and colour movie scenes.